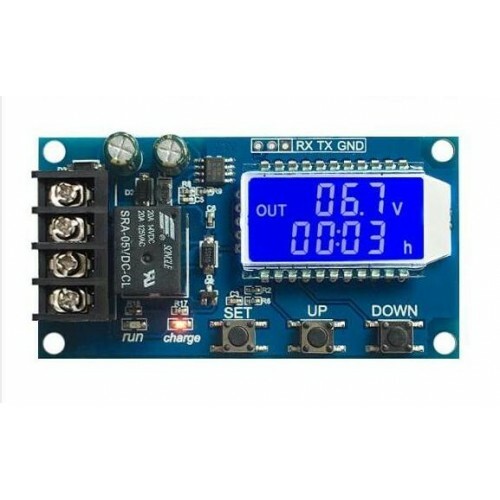 Now charge your lead Acid battery using this easy to use Automatic Battery charger module.This module has LCD display which is used to display Battery Voltage, percent of battery charged. Using switches you can easily update battery higher cutoff and lower cutoff voltage. Moreover UART interface is also provided for controlling battery charging via Serial port. 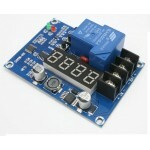 XH-M600 Battery charging Protection BoardBattery charging controller for 12, 24, 48 volt batteryXH-M..